The SRRDG poster competition will take place over the two days of the conference. Poster abstracts are invited on any subject relevant to Restorative Dentistry and can include clinical cases, research or audit presentations. There will be two prize categories: StR and Non-StR. Each category will have a £200 first prize and £50 runner up prize. Upload your abstract using the online form. For research and audit submissions please structure your abstract to include objectives, methods, results and conclusions. Following shortlisting, successful applicants will be informed by Thursday 10 August 2017. We are pleased to have collaborated with Great Western Railway (GWR) to offer our delegate discounted train travel. Please refer to the travel guide document for information on how to get the best from our discounted rates, and book tickets. Please note that unless you have purchased the 'Full SRRDG Conference' package, or the 'Full Residential Student' package, you will be required to select and pay for your own accommodation separately to your conference package. On-campus accommodation can only be offered as part of the two previously mentioned packages. Please see the options below for information on our preferred accommodation partners. Based just a five minute walk from the main conference venue and close to Plymouth Barbican and the City Centre. Jury’s Inn is approximately a ten minute walk from Plymouth rail station. Bed and breakfast: £76.00 per room, per night (single room). Delegates will have to download the booking form, complete the payment details, quoting the 'SRRDG' booking code, and then send it back to Key_AccountsUK@jurysinns.com. Located just a five minute walk from the main conference venue and five minutes from the train station. This hotel is a two minute walk from the city centre and ten minutes from Plymouth Hoe. Delegates can call the hotel on +44 (0)1752 224161 and quote 'university rate' to make their booking. If you purchase either the 'Full SRRDG Conference' package, or the 'Full Residential Student' package, your accommodation will be inclusive of the conference fee, and your rooms will be located in our University halls of residence. 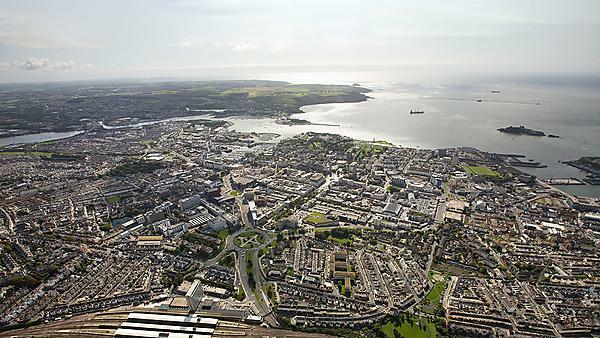 The halls of residence are located within five minutes’ walk form the main conference venue and within easy reach of the City Centre and Plymouth Barbican. All rooms are en-suite and each apartment has a kitchen, which you are welcome to use. There are a number of alternative accommodation options available – find a wide selection of hotels, guest houses and bed and breakfast accommodation across the city. Please note that preferential conference rates will not be available.